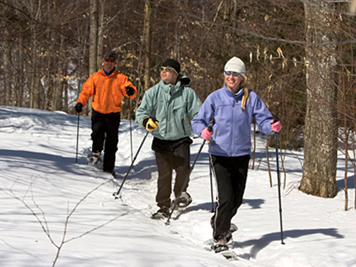 Looking to explore the Northshore in the Winter but are unfamiliar with the area? 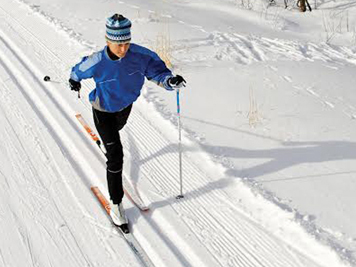 Join one of our guided cross country ski or snowshoe tours! All levels of experience welcome. 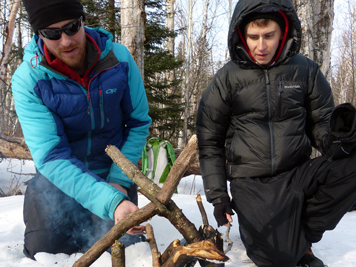 Our guides provide advice on improving your skills, as well as naturalist interpretation. Give us a call for more information or to make a reservation! 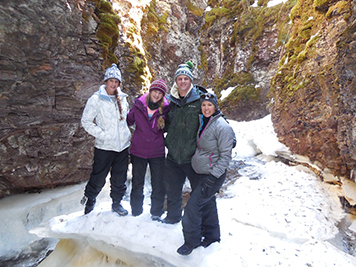 Experience the excitement and wonder of Winter on Minnesota’s north shore through professionally guided adventure tours! Our activities are great for families, couples, groups, teams and solo travelers. Our guiding is uniquely personal with special surprises like a snack of chocolate covered espresso beans, a steaming cup of hot chocolate, or a post trip brew to quench your thirst. 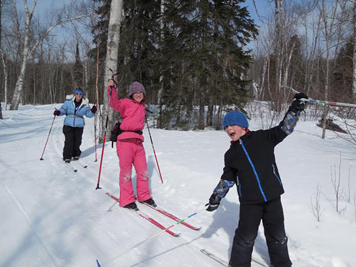 Contact us directly to plan a custom outing to meet your winter adventure expectations or check out what we offer below to see whats right for you. 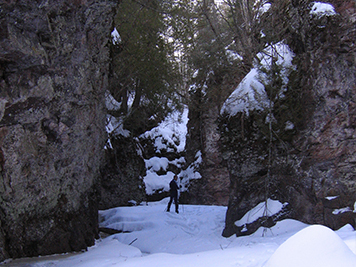 Winter River Adventure: Guided Skiing or Snowshoeing up and back down a frozen North Shore River mixed with low angle ice climbing and full instruction in managing terrain, route finding, and winter travel. Each additional participant is $45 per person up to 4 total. Minimum age of 12 years old. This includes all gear and instruction. 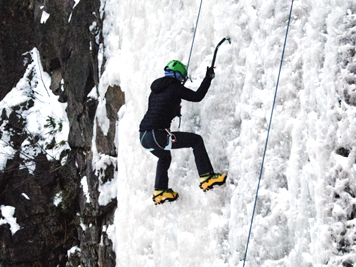 Intro to Ice Climbing: Guided Ice Climbing trips will teach you the basics of using ice tools and crampons on a variety of terrain with a focus in vertical ice. 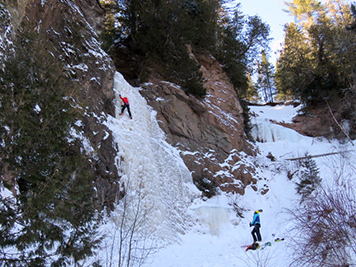 You will learn basic technique to get you to the top of North Shore ice flows up to 60 feet tall. Each additional person is $55 (3 hours) and $75 (6 hours) per participant up to 4 total. Minimum age of 14 years old. This includes all gear and instruction.